Mulk and Karwaan Second Weekend Collection. Mulk and Karwaan both managed decent performance in second weekend at box office. As both film performed poorly in first week, a decent hold can't saved the films from crushing to ground. Both Mulk and Karwaan are flops at box office. 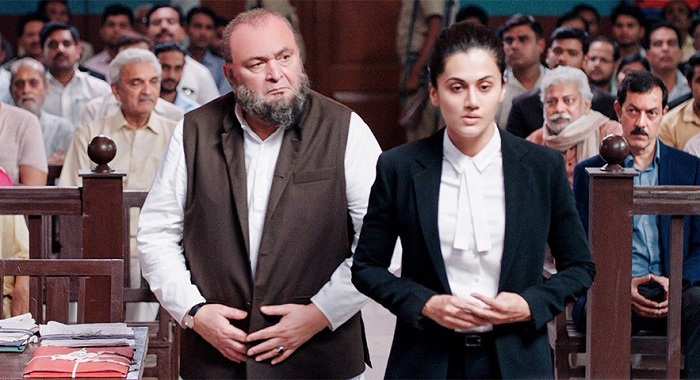 Mulk added around 5 crore nett in 2nd weekend. Collections are decent and hold is good from opening weekend. But that is simply not enough for the film. FIlm total business after 10 days is approx 17 crore nett. Lifetime will wrap in around 20 crore nett mark and distributor share will be a meager 9 crores. Coming to Karwaan, film collected an approx 4.25 crore nett in 2nd weekend. Film total business after 10 days is approx 16.6 crore nett. Film lifetime collection will wrap up in around 19 crore nett mark. Distributor share will be around 8-9 crores. Week 1 - 12 crore nett. Weekend 2 - 5 crore nett. Total - 17 crore nett. Week 1 - 12.35 crore nett. Weekend 2 - 4.25 crore nett. Total - 16.6 crore nett.